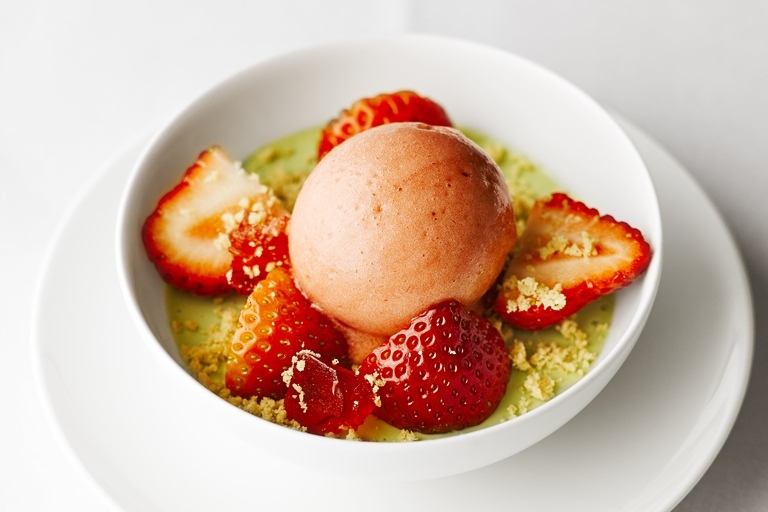 This luxurious strawberry sorbet recipe by Pete Biggs makes a spectacular summer dessert, with the crisp sharpness of the Champagne paired with juicy strawberries and a fragrant basil cream. Once you've extracted the juice from the strawberries for the jelly don't throw away the leftover fruit – spoon over yoghurt or porridge for a delicious breakfast compote. Nathan Outlaw’s right-hand man has flourished under the Michelin-starred chef’s tutelage. Marlow-born, he’s now a respected chef in his own right, and is head chef at Nathan Outlaw at Al Mahara, Dubai.